I recently learned of the Chomsky hierarchy(aka the Chomsky–Schützenberger hierarchy). It would appear to me that what I have discovered also forms a hierarchy of various ethical maxims. Also, I should mention we have added Laozi‘s 无为 advocating minimized interference both in governance as well as personal improvements. At first glance, it seems very nice that the transitive action space for these maxims fall into proper subset relationships. But as we shall see, this naïve hierarchy only begin to illustrate the relative situation of these maxims in the world. We have not considered the possibility that I am not able to do some things to others and others may not be able to do some things to me. Let us redraw the Ethics Hierarchy but introduce additional capability regions in the transitive action space. Oh, and we have also introduced color to enhance readability of the picture. Why is this interesting? Well for one thing we are at a stage where Venn diagram can actually separate all the regions that we are interested in. 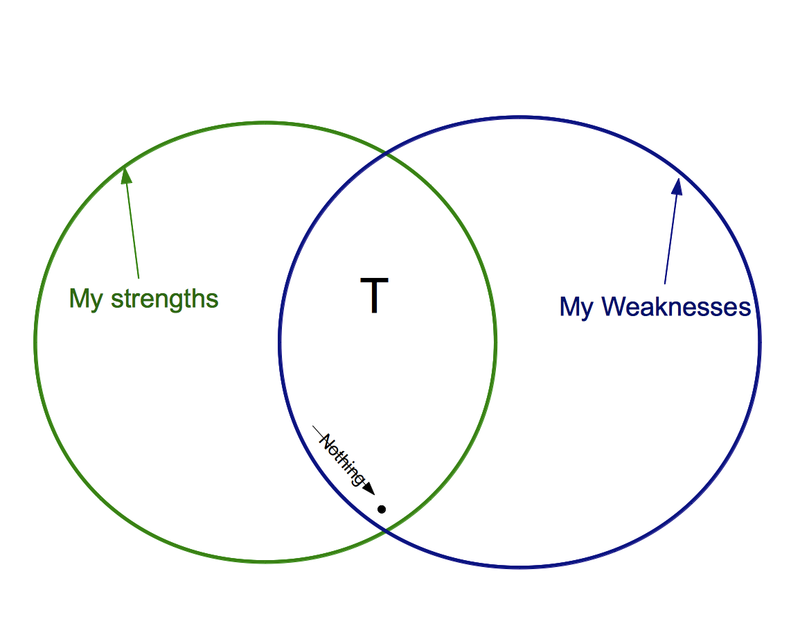 A second reason is that it makes us realized that the containment relationship visualization using grammar school Venn diagrams that my dad pointed me to was only just the beginning of our exploration. We can draw more circles and see that our world have distinctive sections with different shades of meaning, benefit and possibilities. 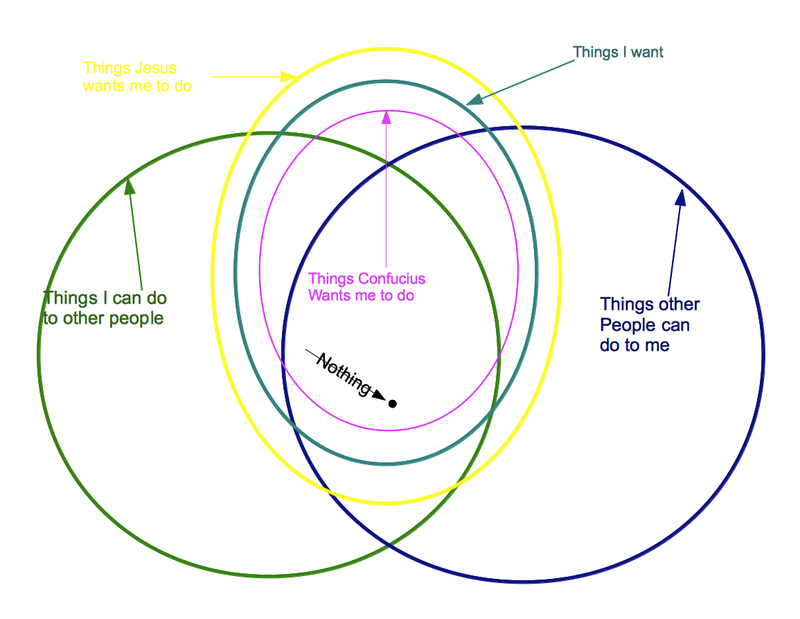 For instance, one thing this graph points out is that there are things that Confucius or Jesus recommends us to do that we cannot actually do to others.It also shows us that there are things that we desire that in reality we cannot receive, however we can perform the act onto others. 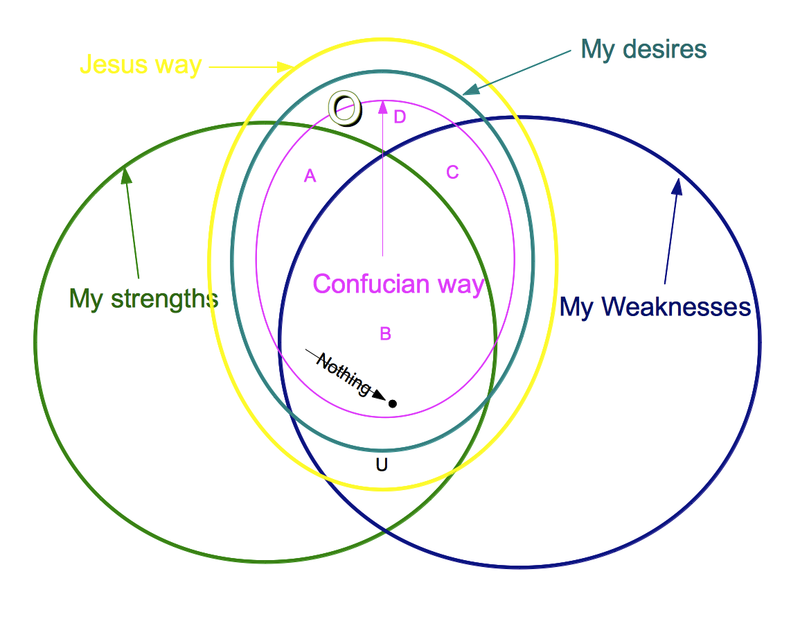 The graph also points out that there are the region of actions space within our desires that others can never give to us. Lastly from looking at this picture, it seems that actions within realm of possibility that are not recommended by the Jesus action set is small. On the other hand, the actions that Confucius recommend that are not possible is also small. 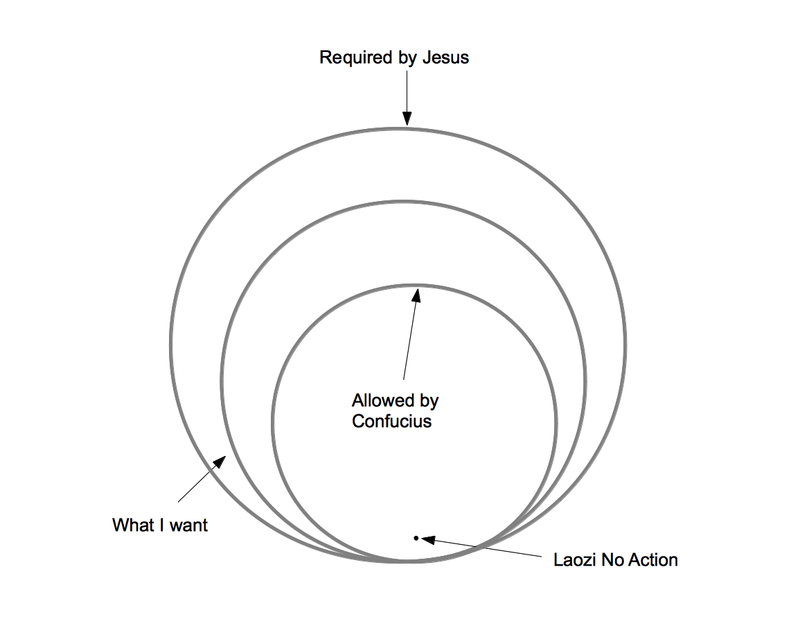 From freehand drawing it would appear that the completely impossible actions inside the Confucius action set is small relative to all Confucius’s recommendations, and similarly the completely possible actions outside of the Jesus set is small compared to the whole Jesus set.